According to spokespersons at the website end, the Obamacare health insurance website overload was due to an unusually high amount of traffic in one day. News reports quote that more than a million people were on the healthcare.gov site at the same time. This is five times higher than what the traffic is on a usual day. Following this incident, the government is taking proactive steps to prevent such overloads. The government officials confirmed that the system was functioning, but very slowly. 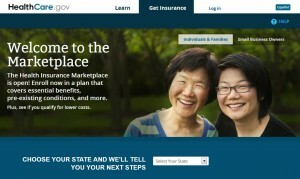 Taking this issue into consideration, the agency released a statement saying, “We have built a dynamic system and are prepared to make adjustments as needed and improve the consumer experience.” This will help solve the problem of future occurrence of the Obamacare health insurance website overload. According to experts, the unusually high amount of hits and the Obamacare health insurance website overload can be attributed to Obama’s televised statement on Monday where he said that the funding is already in place and that the Affordable Care Act can’t be shut down.